Above: Burntisland Fabrications (Bifab) was rescued from administration by offshore specialist D F Barnes. AN UP AND DOWN YEAR FOR MANUFACTURING IN SCOTLAND INCLUDED CLOSURES BUT ALSO SOME NEW OPENINGS. 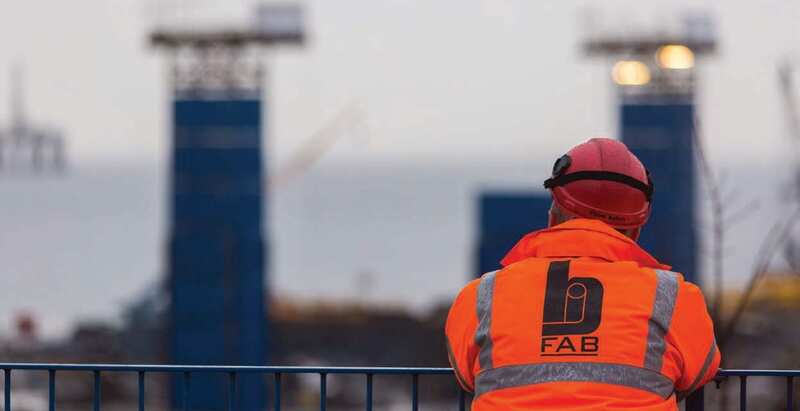 Achallenging few years has set the fate of Burntisland Fabrications (Bifab), one of the leading lights of Scotland’s renewables manufacturing ambitions, have been resolved onto a smoother course. A rescue plan for the business was confirmed in April when the stricken firm was acquired by Canadian industrial construction conglomerate, JV Driver, through its offshore specialist subsidiary, DF Barnes. This came after the Scottish Government had agreed to put up a £15million loan to prevent the company collapsing into administration at the end of 2017. Its potential failure would have been a major blow for Scotland’s industrial plans, as well as putting 1,400 jobs at risk across its three sites in Burntisland, Methil and Arnish, on the Isle of Lewis. The company’s cash flow woes came unexpectedly. It had been on a high, having secured a £100million contract for the manufacture of 26 offshore wind turbine jackets from Dutch contractor Seaway Heavy Lifting (SHL). Bifab was that rare thing – an indigenous manufacturer benefiting from a massive energy industry burgeoning on its doorstep, in this case the £2.6billion Beatrice Offshore Windfarm project in the Outer Moray Firth led by UK utility company, SSE. Bifab’s problems were thought to have been temporary, if serious, cash flow blips. But prospects are positive as Scotland’s offshore wind industry is still set to grow dramatically. As at May 2018, Scotland had 217 MW of installed offshore wind capacity, but a further 4.2 GW in construction or consented and awaiting construction. Yet, despite interventions, Bifab was not yet completely out of the woods come the end of the year as it awaited confirmation of new contracts and some of the yards remained on pause. Sean Power, Vice President of Business Development for DF Barnes, said: “We have made a long-term commitment to Bifab and are actively leveraging our global skills and expertise to position the company for future growth. Meanwhile, Scotland’s more traditional energy industry had only just begun recovering from one of the longest periods of low oil prices in living memory. With the price of Brent crude hovering over $60 a barrel in the last weeks of 2018, it is thought that operators would maintain a tight grip on the supply chain, meaning continued pain for manufacturers. But those firms developing more cost-effective solutions are making waves. Balmoral Offshore Engineering, which specialises in deepwater buoyancy, insulation and elastomer products for the subsea engineering industry, is pressing ahead with investment plans despite the squeeze. 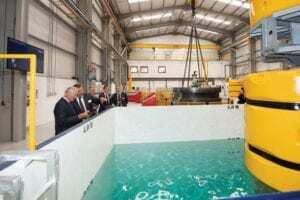 The Aberdeen-based company, which employs around 600 people at its site in the south of the Granite city, welcomed HRH the Duke of Rothesay – as Prince Charles is known in Scotland – to the official launch of its subsea test facility during the year. 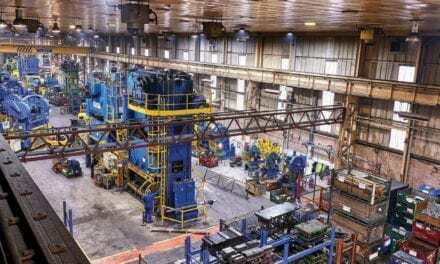 The hydrostatic test centre represents an investment of £20million and required the firm to drill down through 15 metres of solid granite to build. Earlier in the year, Balmoral went to the Offshore Technology Conference (OTC) in Houston, where it has been displaying its wares for over 40 years. There, it launched its new drill riser buoyancy system, the Balmoral DuraFloat LDV, whose design was inspired by the hydrodynamic architecture of turtle shells. Steve Gibb, a spokesman for Balmoral, said the firm has had an “an extremely encouraging response” to the modules, and that it is now undergoing a final refinement process before “fully commercialising” the product line. But the market is still stung. Aggreko is investing £33 million in its Dumbarton factory to support development of more energy-efficient power generators. 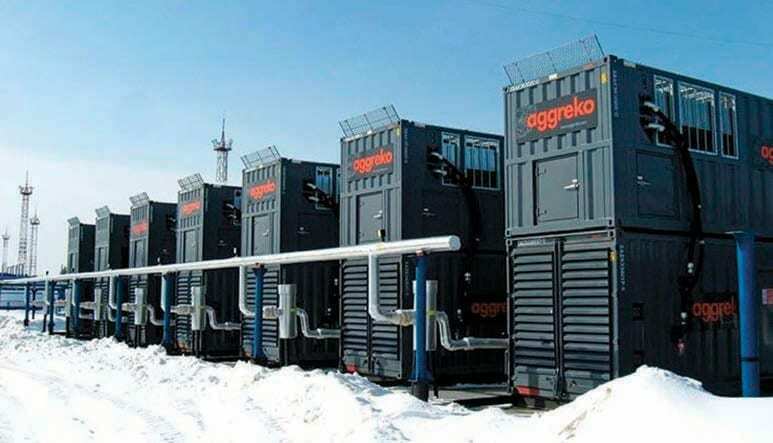 Credit: Aggreko. The Scottish Government is supporting manufacturers across sectors with a range of support mechanisms including grants supporting R&D and investment. In April, Scottish Enterprise handed £1.3million to Aggreko to support the development a new range of more energy-efficient power generators, leveraging Aggreko’s £33million investment in its factory in Dumbarton. First Minister Nicola Sturgeon announced the deal during a site visit. “Our aspiration is for Scotland to once again be the inventor and manufacturer of the innovations that shape the future,” she said. Another major investment in manufacturing capacity announced by the First Minister at the end of 2017 was the National Manufacturing Institute for Scotland, to be based at Inchinnan, Scotland’s manufacturing heartland on the banks of the Clyde. 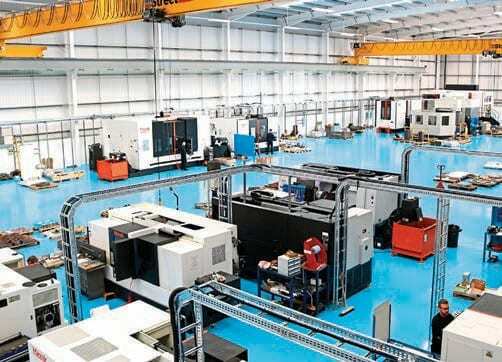 The £65million project, allied to the University of Strathclyde, is aimed at stimulating manufacturing invest ment while increasing the competitiveness of Scotland’s manufacturing base. The first phase, the Lightweight Manufacturing Centre, will open its doors in 2019. The new facility might provide an option for some of the 1,275 employees working next door at Rolls-Royce plc. While the main impact of the FTSE-100 aerospace giant’s plans to cut 4,600 jobs from its 23,000-strong UK workforce mostly passed Scotland by it is also, along with many firms, considering its options as the UK leaves the European Union. The company had confirmed having made contingency plans to move some parts of its aircraft design business to Germany, in a bid to ensure its operations benefit from co-operation with the European Aviation Safety Agency (EASA). It had welcomed Prime Minister Theresa May’s proposed withdrawal agreement as “a step in the right direction”. 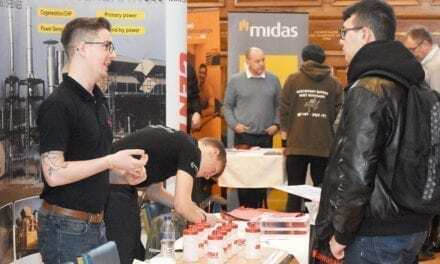 The highlight of the year for Nick Shields, director of the Scottish Manufacturing Service (SMAS), was the announcement that the disused coalfired power station at Longannet could be the site of a train manufacturing operation, potentially employing a thousand people. Spanish train firm Talgo selected the Fife site as ideal for its UK base – pending the company winning a contract to build high speed trains for the controversial HS2 project. Nevertheless he said the decision was “a great vote of confidence” in Scotland. “There’s not been any big announcements like that in the last 15 years,” he said. “Talgo looked all over the UK and decided Scotland suited them in terms of a competitive location, access to skills, a heritage of manufacturing and engineering, as well as looking at what we are doing within the manufacturing ecosystem, such as the building of the National Manufacturing Institute for Scotland (NMIS).” The old Longannet power station is located right by the Kincardine Bridge, between Glasgow, Edinburgh and Stirling, with excellent access to skills and people. Rail infrastructure is already in place, dating from the days of coal. A low point came when French tyre manufacturer Michelin announced plans to close its factory in Dundee by 2020. The plant has been open since 1972 and, with 845 jobs, is a significant local employer. Shields described it as “a productive site” but one that had lost its market. The closure has triggered the formation of the Dundee Action Group, led by Dundee City Council leader John Alexander and Steve Dunlop, chief executive of Scottish Enterprise, along with the Finance and Economy Secretary Derek Mackay. As a result of the Group’s efforts, Michelin was expected to sign a memorandum of understanding to continue supporting the development of the site, which the Scottish Government hopes will be focused on areas such as recycling and low-carbon transport. The NMIS is expected to drive aspects of the Fourth Industrial Revolution (4IR), focusing on censors, data and cyber security and bringing manufacturing back to Scotland. 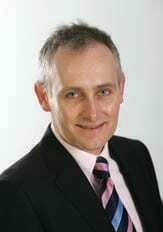 “I have a lot of conversations with organisations working across the UK such as banks, which look at Scotland and see a joined-up system of support between government, economic development agencies, academia and industry,” he said. “That manifests in the National Manufacturing Institute for Scotland, which we are building to engage with mainstream SME business, help them make investment decisions and articulate the art of the possible in terms of new technology, digitisation, automation and modern progressive manufacturing processes.” 4IR allows products to be made in Scotland that, in the past, would have been moved to the far East. In the same year that Edrington raised capacity by a third with the opening of its £140million Macallan distillery and visitor experience in Moray, three bottles of the single malt broke successive records for sale at auction. The limited-edition, 60-year old Macallan whiskies bottled in 1986 were sold at £811,000, £848,000 then £1.2million. While on the subject of distilling, family-owned steel and coppersmith Forsyths has set its sights on the far east, opening a new office in Hong Kong and shipping what is thought to be the first portable whisky distillery to Japan. The skid-mounted distillation kit was designed by the firm to meet demand caused by the growth of boutique distilleries and can produce up to 400,000 litres of pure alcohol every year. 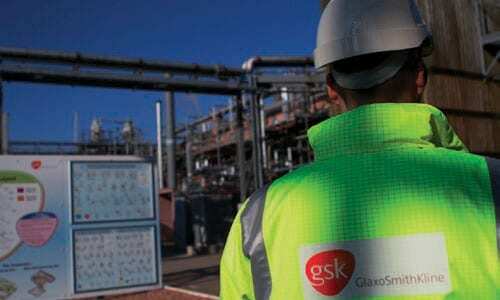 Pharmaceutical giant GSK (GlaxoSmithKline) unveiled a £54million investment in its Montrose site, which is now one of two in the world producing active pharmaceutical ingredients for GSK’s Ellipta respiratory inhaler portfolio. More than 300 jobs were saved at Havelock Europa when turnaround specialist Rcapital bought it out of administration in July. The formerly AIM-listed, 150-year old fit-out manufacturer had struggled with declines in its core market of shops and bank outlets. Food ingredients manufacturer Macphie kept on trend with the launch of the first vegan-certified cake mix and frosting range aimed at the bakery sector. The move came as the family-owned business welcomed a new CEO, Andy Stapley. He took over following the departure of managing director Andy Underwood, the first non-family member to lead the business. Simmons Private Equity-backed manufacturer Pryme continued its spending spree south of the border, snapping up Altrincham-based Hydratron and opening a £10million manufacturing services facility in North Tyneside. The Dundee-based group says it is on track to achieve turnover of more than £40million by 2021. 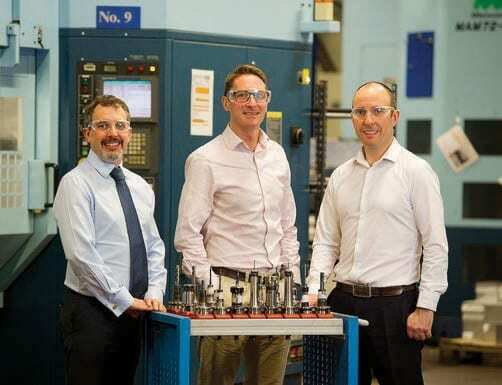 BGF (Business Growth Fund), the bank-backed growth investor, injected £6.75million in two tranches in Walker Precision Engineering. The firm makes high-precision components for the defence and space industry and employs more than 260 staff across Glasgow, Basildon and Poland.